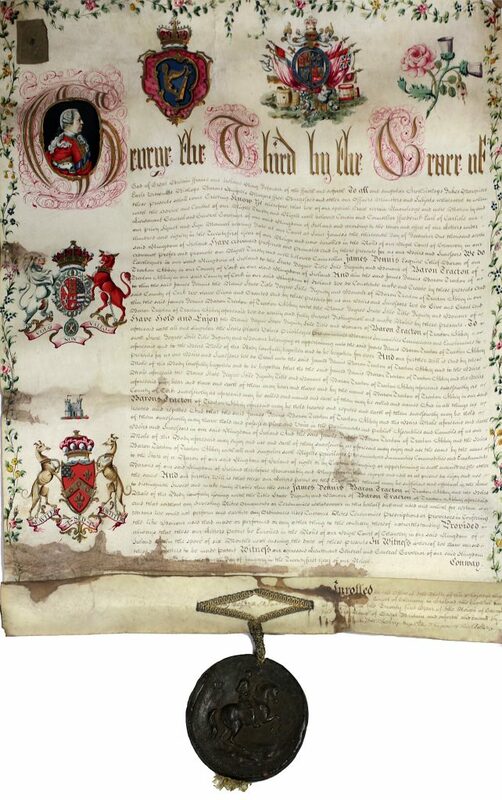 THE letters containing the royal grant of the title Baron Tracton from George III in 1781 will feature at Fonsie Mealy’s contents sale at Fortgranite, Baltinglass, Co. Wicklow on April 16. On vellum and decorated with arms, emblems and a portrait of the king they were addressed to James Dennis of Tracton Abbey in Co. Cork. The son of a timber merchant from Kinsae James Dennis was a barrister who became chief baron of the Irish Exchequer in 1777. He was MP for Rathcormack and Youghal. Raised to the peerage in 1781 he died childless the following year and his title died with him. He left his estates to his two nephews: those in Kerry to the Rev. 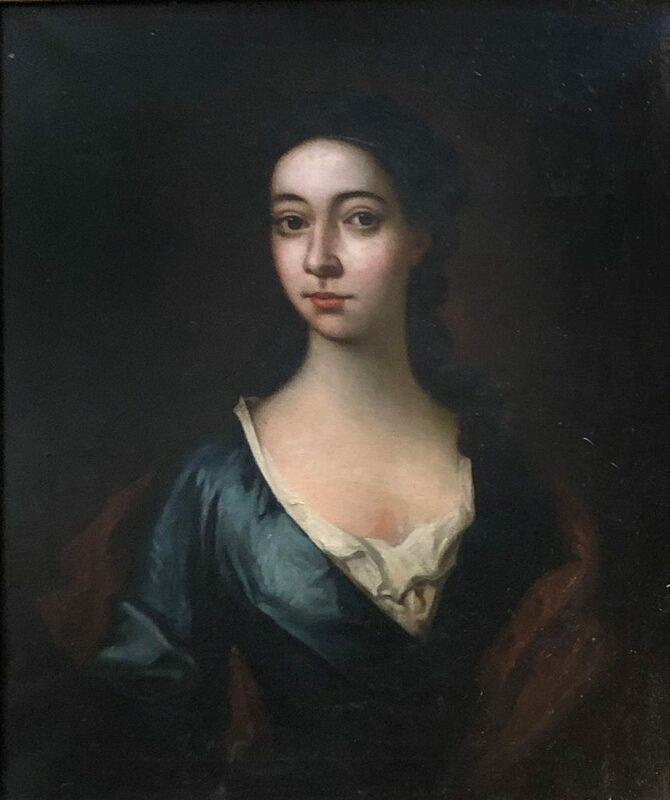 Meade-Swift-Dennis, and Tracton Abbey in Co. Cork and Temple Hill House in Co. Dublin to John Swift-Dennis. The letters are estimated at 1,500-2,000. UPDATE: The sale realised in excess of €325,000 on the hammer with 85% sold. 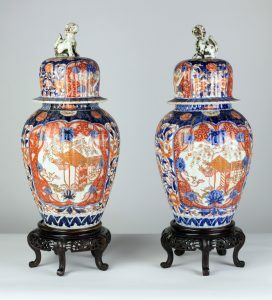 The top price of 36,000 was paid for an 18th century Augsburg marquetry table box; a three stone diamond ring made 20,000 and a 19th century Minton majolica two handled urn made 16,000. 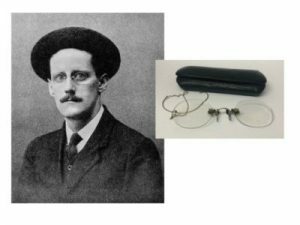 An original pair of pince-nez glasses owned by James Joyce sold for a hammer price of 17,000 at Fonsie Mealy’s rare book and memorabilia sale in Dublin today. 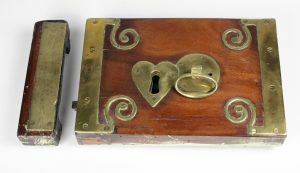 The pair, complete with, gilt fittings and chain and in a velvet lined morocco case from a Dublin optician, was from the collection of Joyce’s friend Thomas Pugh. By tradition these are Joyce’s own glasses used when writing Ulysses. In good condition they are familiar from many photographs, including his passport. A letter written to Thomas Pugh by James Joyce in 1934, from the Grand Hotel Britannique, Spa, Belgique made 14,000 at hammer. In it Joyce requested Pugh to visit him when next in Paris and also asks if Pugh knows of any illustrated weekly published in Dublin around 1904 for the use of Henri Matisse, who was working on designs for a new de luxe edition of Ulysses. (Pugh supplied the illustrations but the illustrations by Matisse are drawn entirely from Greek myth). A first edition of Ian Fleming’s Casino Royale, published by Jonathan Cape in 1953, sold for 9,500 at hammer. 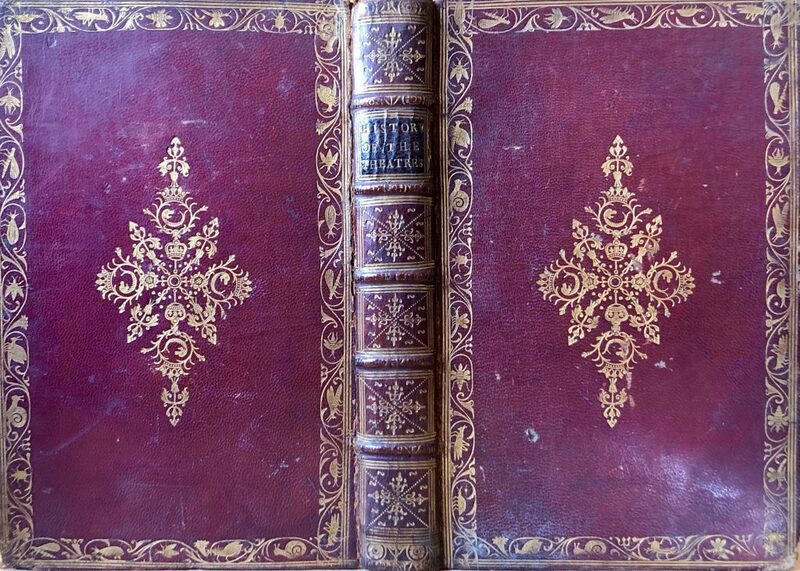 A rare Isaac Newton volume from 1711, sporting medals, original photographs and drawings will all be included in Fonsie Mealy’s rare books and manuscripts auction in Dublin next Tuesday. 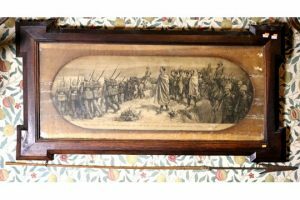 There are first editions ranging from Charlotte Bronte to Ian Fleming, James Joyce’s pince nez and a 19th century transcript of The Annals of Clonmacnoise in this auction of 964 lots. 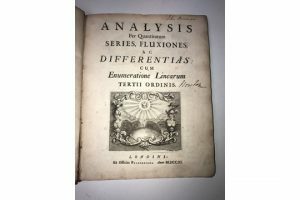 The most important lot is Newton’s Analysis per Quantitatum series estimated at 8,000-12,000. There is an original manuscript account of the Fall of Constantinople by Leonard of Chios c1453 and the earliest manuscript association of W B Yeats and Maud Gonne. There are statistical surveys, books on botany, antiquities, art, poetry, travel, genealogy, literature in a selection with an across the board appeal. 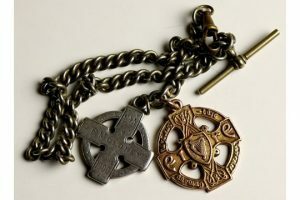 There is an All Ireland Football Championship medal from 1905 and Galway’s first All Ireland Hurling Championship medal from 1923. The venue for the auction is The Talbot Hotel, Stillorgan. These Great Irish Elk antlers and skull sold for 23,000 at hammer. 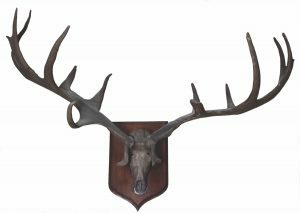 A set of prehistoric Irish Elk antlers and skull was the top lot at Fonsie Mealy’s sale of contents of Milford House, Carlow on November 20. They made a hammer price of 23,000. Irish Elk is the common name for a giant extinct deer Megalocerus Giganteus characterised by enormous antlers. It is the largest deer known to have lived. 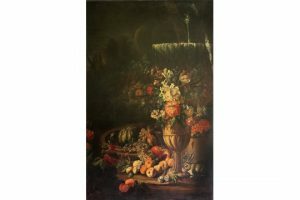 A pair of still life paintings by Aniello Ascione of the 17th century Italian School made 20,000 and another pair attributed to the same artist made 16,000. 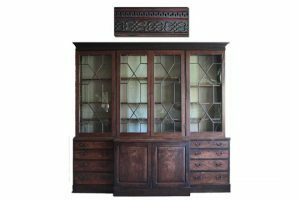 A 19th century carved Chinese wooden buddha made 13,000, a Georgian Irish bachelor’s chest made 7,400 and an Irish Victorian dining table and a set of 18 dining chairs each made 7,000. 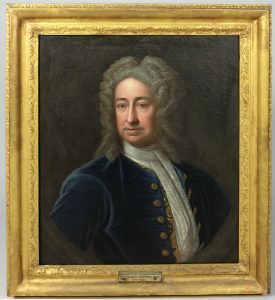 A half length portrait of John Alexander, High Sheriff of Carlow by Stephen Catterson Smith sold for 6,500 at hammer. 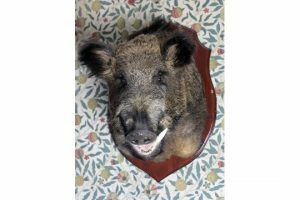 The auction realised more than 500,000 and was 95% sold. 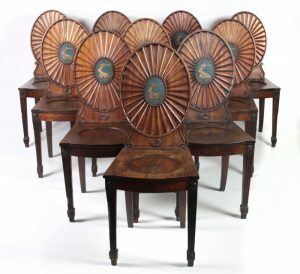 A rare set of 19th century mahogany side chairs at Fonsie Mealy’s sale in Castlecomer at 10.30 am on October 10 is billed by the auctioneer as the most important seated furniture to come to market in recent times. 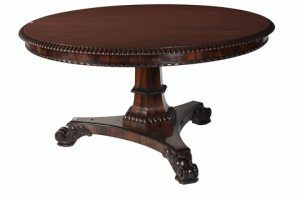 The 10 chairs bear the crest of the O’Brien family of Dromoland Castle and are estimated at 10,000-15,000. 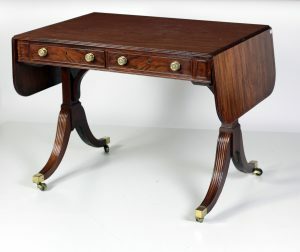 Fonsie Mealy’s 800 lot sale includes a number of items from Dromoland but the highlight from that collection – a 430 year old table made from wood from the Spanish Armada – will come up as lot 101 at the James Adam Country House Collections sale at Townley Hall, Drogheda on October 16 with an estimate of 100,000-200,000. 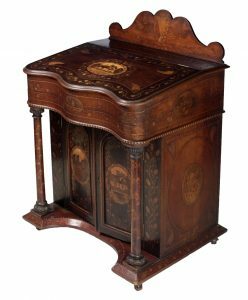 At Fonsie Mealy’s an over sized Killarney wood davenport from the Great Exhibition of Manufacturers, Machinery and Fine Arts at the RDS in 1864 from the Corcoran family is estimated at 7,000-9,000. 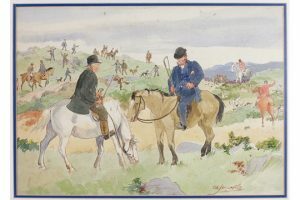 Among the artists whose work will feature are Louis le Brocquy, Gerard Dillon, William Crozier, Mildred Anne Butler, Kenneth Webb, George Campbell and Hughie O’Donoghue. A full length portrait of James Butler, 1st Duke of Ormonde (1610-1688) from Peter Lely and the studio of Peter Lely is estimated at 25,000-35,000. 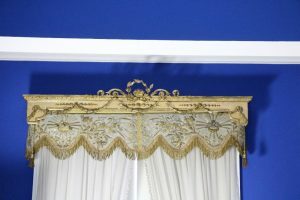 It was formerly in the collection of the Earls of Shrewsbury. 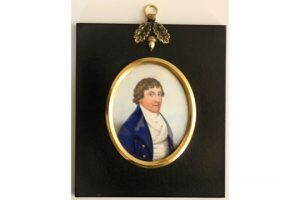 A full length oortrait of Arthur Wellesley, 1st Duke of Wellington by John Jackson (1778-1831) is estimated at 15,000-20,000. 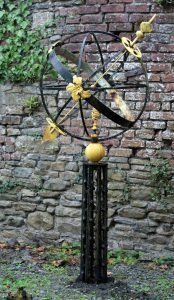 Among the pieces from Dromoland are an 18th century sundial (4,000-6,000) complete with its original receipt from T. Crowther and Son, London issued to Lady Inchiquin. UPDATE: The auction totalled more than 350,000 on the hammer and was 80% sold.